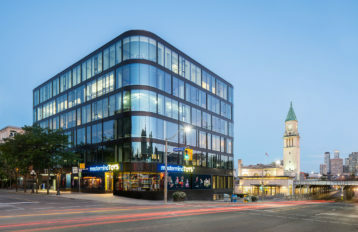 Taking the place of a run-down office building in the heart of the City of London, the striking new “Motel One” building by Mackay + Partners presents a sparkling new face to the heart of the financial district, set within the historic Minories neighbourhood. 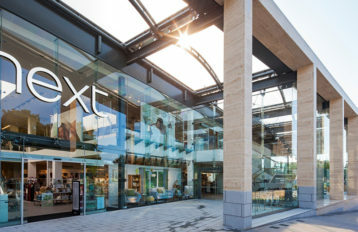 The glazing offered many unique challenges to Carey Glass, getting a thermally efficient façade with the means to limiting the amount of solar gain, whilst not impacting too greatly on the lighting loads meant the use of a Vista Therm Solar neutral Glass HS62/34 on an extra clear base product. Black Warm edge spacer bars with a deep fill silicone seal on the edge of the unit’s sharpened the appearance of the argon gas filled double glazed units. As with all cities and more importantly for the guests comfort acoustic laminates we employed to reduce the amount of road traffic noise entering the building this was achieved by employing acoustic annealed laminates. 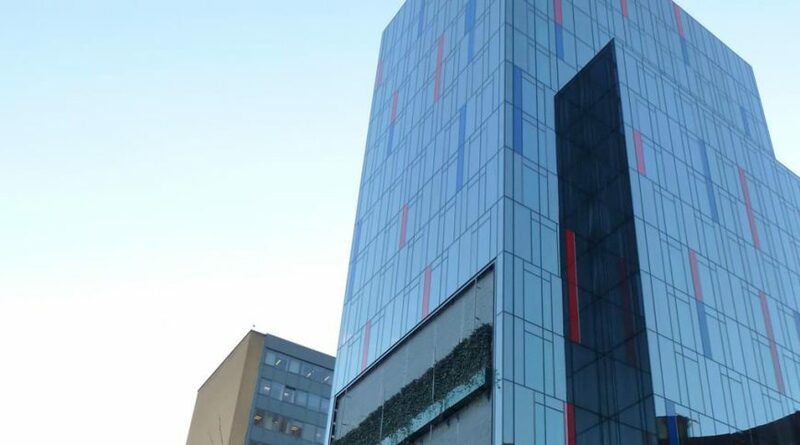 Careful consideration was given to ensuring the product supplied was thermally safe & of a suitable mechanical strength to resist the imposed wind & barrier loads for the safe operation of the building. 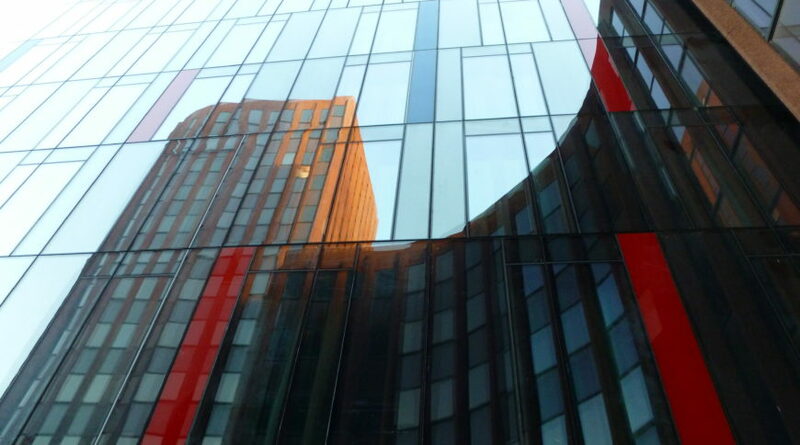 Vista Clad ceramic coated glass was used to give the striking contacting colour which gives this building its most striking characteristics. 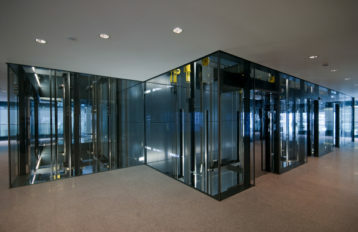 The Minories Hotel located in the Heart of the City of London is a unique new build 258 bedroom Hotel. 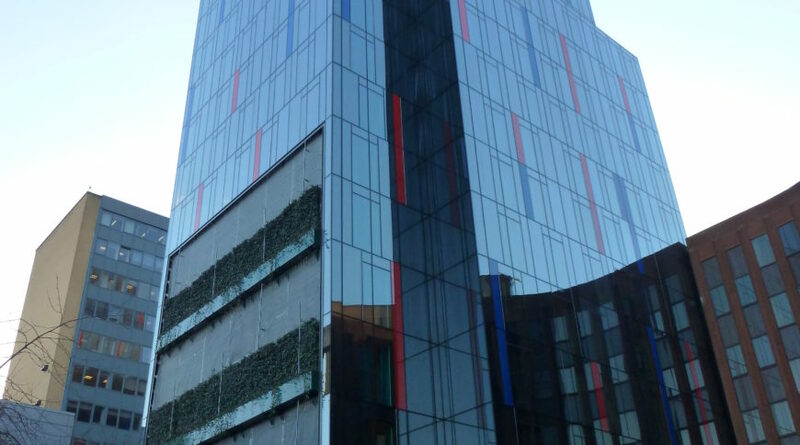 Comprised of two contrasting bocks, the taller block is clad in highly insulated clear and coloured glass, to distinctively define the skyline, while the lower block incorporates a rainscreen cladding system supported by the unitised facade and manufactured from solid surface material, the first of its type in the UK, with LED backlighting, producing a gentle glow at night. 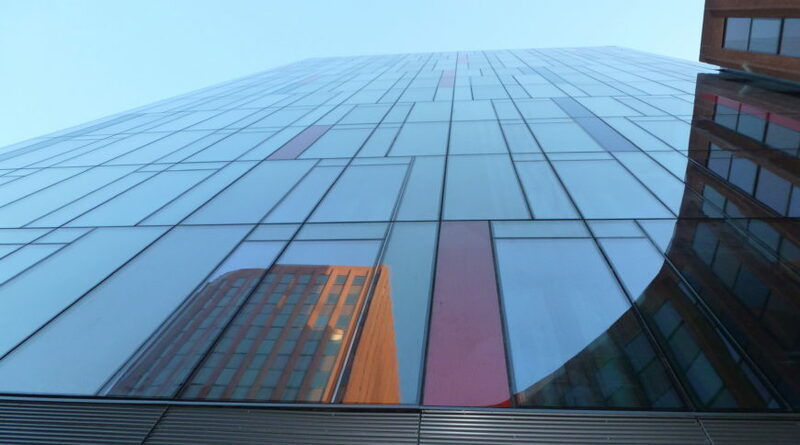 A BREEM excellent was achieved by using energy efficient systems with a highly efficient façade.